Nationalist Protest in Barcelona, get attacked by Antifa Thugs. Far-right activists were met by a huge crowd of anti-fascist protesters as they marched in Barcelona one day after a terror attack killed 13 people in the city. 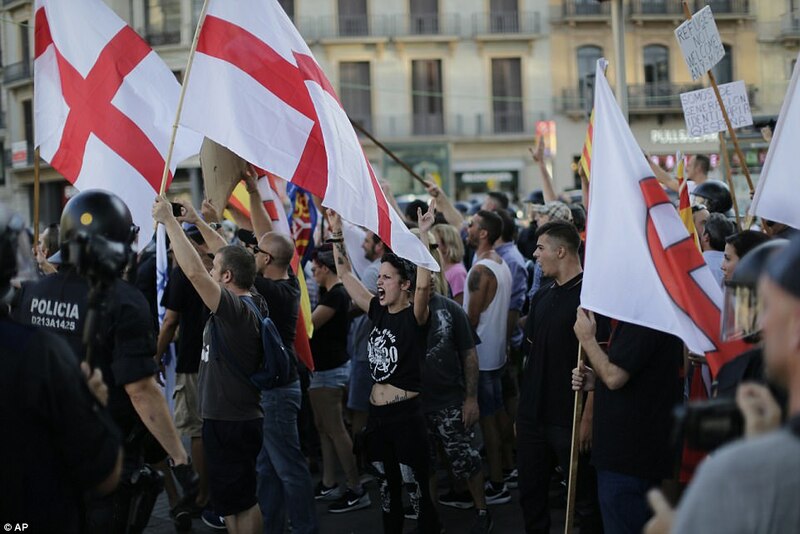 Members of the extreme Falange group congregated on Las Ramblas boulevard this afternoon before being met by hundreds of counter-demonstrators waving flags and banners. Tensions were so high that armed riot police were called in to separate the groups as violence broke out. Re: Nationalist Protest in Barcelona, get attacked by Antifa Thugs. Its sounds almost too convenient that Antifa thugs know how to pick the perfect time and place on disgracing themselves as political thugs/terrorists (domestic) hired on someone's payroll to disgrace themselves and their country. Which I feel is a huge disrespect to their fallen countrymen. Nevertheless, its good that people who aren't blinded by political correctness see how disgraceful and inane Antifa really is along with their political masters funding these stunts. That they are desperate, weak and are losing ground as more and more people see them for who they really are; no different than the muslim thugs who will be brought to justice in due time for such despicable actions against the western world. It's obvious that many of these Antifa types do not respect democracy and are willing to use violence to impose their values. They are virtue signallers who imagine they occupy the moral high ground. you are correct hansel. the bankers want to stigmatise those who oppose immigration because the bankers do not want immgration stopping.the bankers just want people flooding into all the western countries.they don't care what race or religion these people are, they just want numbers flooding in , this is in order to keep wages low for ordinary working people and also to fuel their house price Ponzi schemei. this is the mechanism the bankers are using to siphon up all the wealth to themselves. Most of the terrorists were living here for many years, some since childhood, and apparently well integrated, but nevertheless they made up a terrorist cell of ISIS and were preparing a real massacre with more than 120 butane gas bottles. Something failed and butane exploded killing at least two terrorists, one completely volatilized, then the rest of terrorists commited the two massive running over with vans as desperate attempts to performing the planned terrorist attack. That's what police says. But what mass media and our very progressive authorities are worried about is the islamophobic reactions of native people, although it has been only 2 or 3 'reactions'. They're portraying muslim population as the victims of the situation created by the attack. I would call it 'preventive vilification of any anti-muslim/refugee thought'. @Impasible wrote: Most of the terrorists were living here for many years, some since childhood, and apparently well integrated, but nevertheless they made up a terrorist cell of ISIS and were preparing a real massacre with more than 120 butane gas bottles. The one saving grace to all of this is their relatively low IQ and low impulse control. 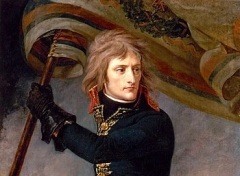 Had they bid their time only a couple more decades, they could have awakened to a much diminished, aged, and complacent EU and simply taken over politically. But no...they just have to act a fool, and they are escalating it. Which means that more and more people are going to wake up and think, "hrm, Maybe Ferdinand, Isabella, and Vlad Tepes weren't so crazy after all." In the photo below it looks like some of the anti-Islam protestors are waving the English flag. Or is it something else? @Neon Knight wrote: In the photo below it looks like some of the anti-Islam protestors are waving the English flag. Or is it something else? You're right. It's St. George's flag, which apparently is used in various parts of Europe as a battle cry of some kind. 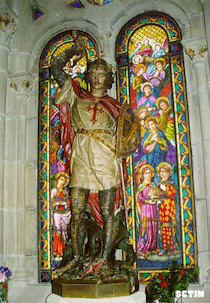 San Jordi, Saint George, is the saint patron of catalonia, and aragon. 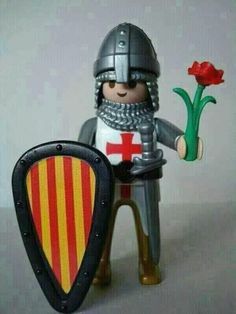 I think they were waving san jordi flag to emphasize the cristianity of this land in front of muslims.